Scottish National Party (SNP) leader Nicola Sturgeon has called for a united political movement to demand the immediate publication of the Chilcot Inquiry report into the legality of the 2003 Iraq invasion. 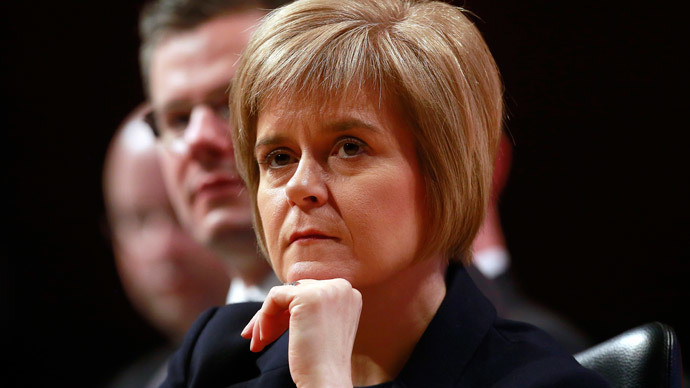 Sturgeon has written to other Scottish party leaders, urging them to unite in favor of immediate publication. The Chilcot Inquiry, which was set up in 2009 and is expected to cost the taxpayer over £10 million, has come under fire in recent months due to delays in its publication. The disclosure of secret documents, and disagreements over whether private communications between former leaders Tony Blair and George W. Bush should be made public, has disrupted the progress of the inquiry. There are now fears that unless the report is published immediately, its release could affect the results of the general election in May. The leader of the Scottish Labour Party, Jim Murphy, and the Scottish Liberal Democrat leader, Willie Rennie, have also said they support the earliest possible release of the document. The House of Commons will debate the release of the findings on January 29. Last month there was speculation that Tony Blair may face prosecution for war crimes as a result of the report’s findings. Blair said he “resented” claims he was responsible for the delays. The debate surrounding the release of classified material had presented a large obstacle to the publication of the report, but it was decided in June last year that the “gist” of conversations between Blair and Bush could be published. Sturgeon said it would be impossible to have a national election without the report’s findings being presented. “Surely we can't go through a general election without people having the answers to the questions on the Iraq war that they still don't have,” she told the BBC. Murphy responded to Sturgeon’s call for action, saying it was essential for future governments to learn from the results. Rennie also expressed his eagerness for the report to be published, saying he agreed with the SNP’s Sturgeon.